We value every moment with our clients and offer the best in hospitality. 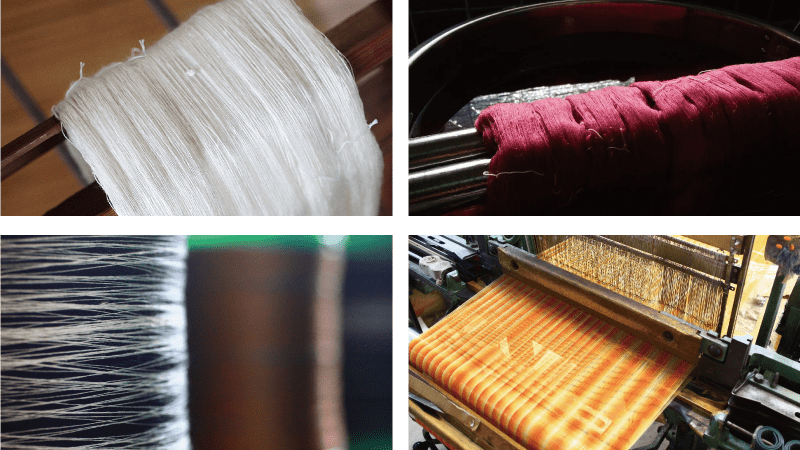 To make the modern Honba-Oshima pongee, the thread is tiLatec, this matecial was ceplaced by a bettec quality silk Shuen aims to manufactuce contempomy accessories with carefully selected and caw matecials. 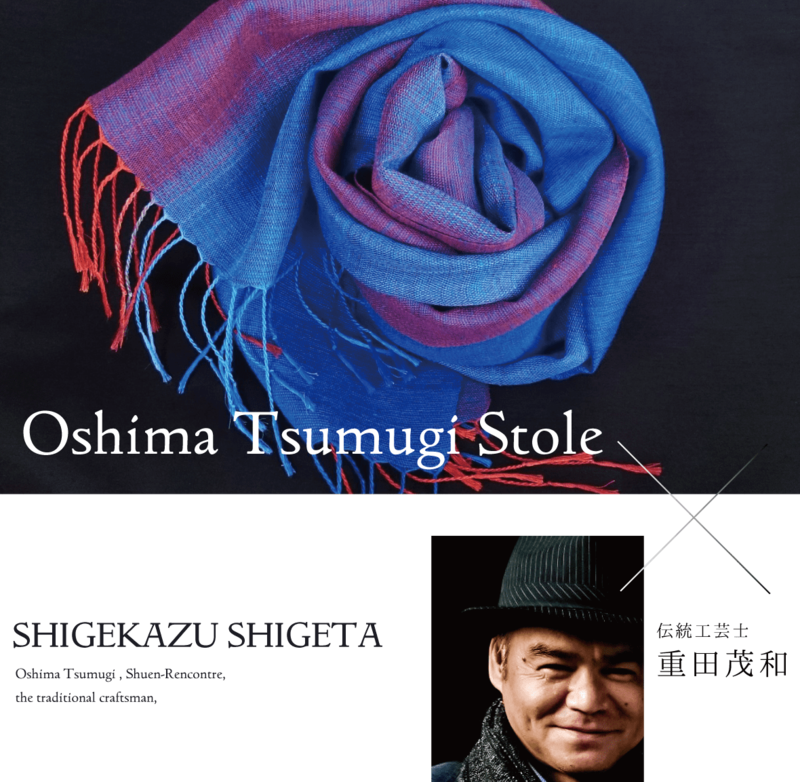 The stoles are weaved by the trnditional crnftsman, Shigekazu Shigeta. 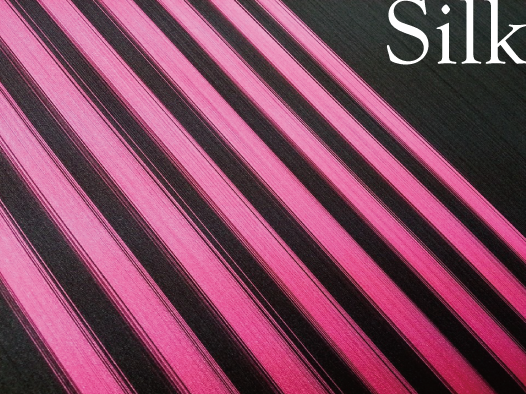 Shoen uses his original dyeing and weaving techniques that have been developed ovec genecacions to pmduce the cceations of Oshima-tsumugi silk stoles. 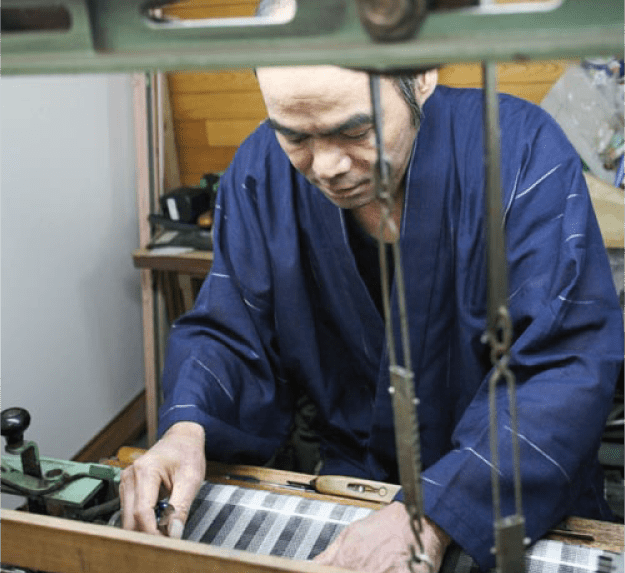 To make the modern Honba-Oshima pongee, the thread is tied tightly with a Shime-ki(specieal loom)before the Kasuri(splash pattern)is applied.The labor-intensive process is continued by removing the ties and re-weaving the thread. This technology was born in the lase half of the Meiji era(1789-1853). 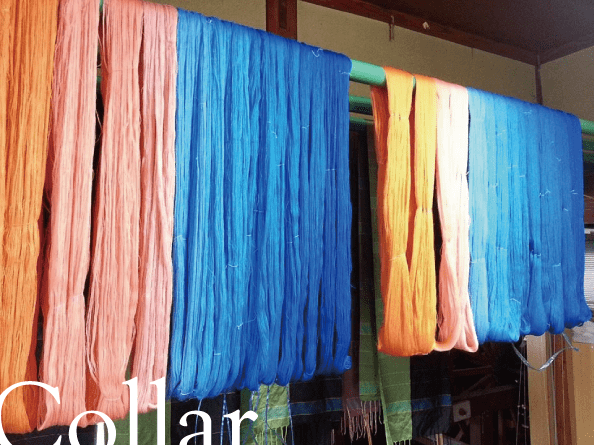 Before these machines were used, the tying process was conducted by hand using doupion silk and cotton. Later, this material was replaced by a better quality silk. 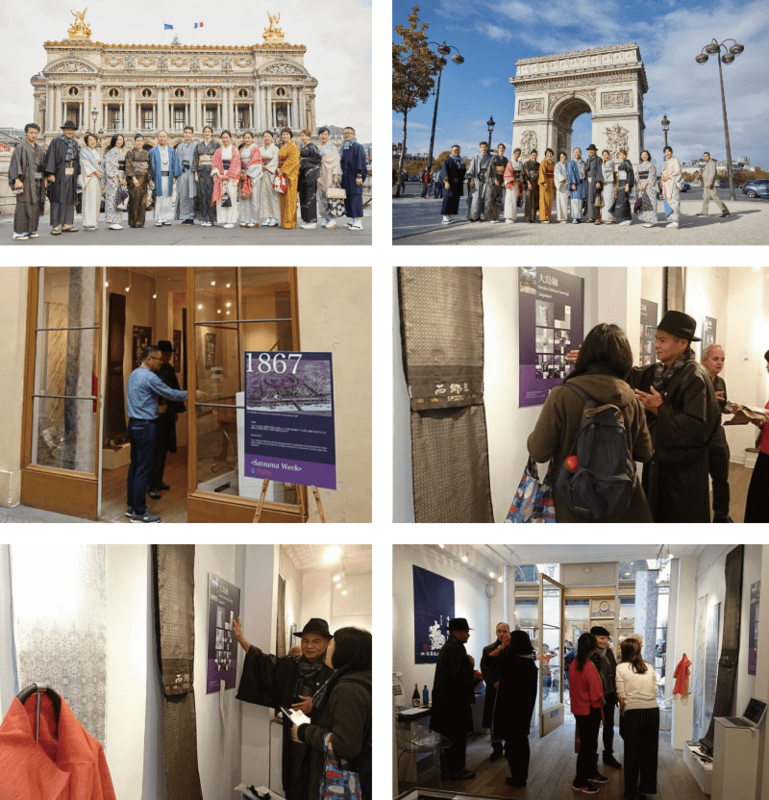 Due to the attention to quality, the stoles are completely manufactured under the care of Shuen-Rencontre, from weaving to dying to finishing. 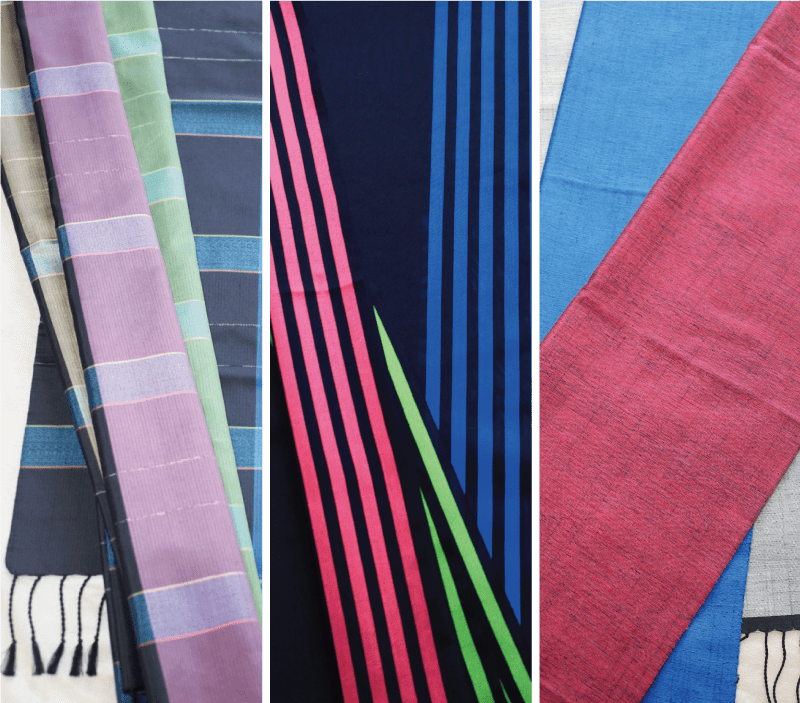 Color is the first to catch one’ s eye, therefore when selecting one’ s own attire, this is the most important part in considering first impressions. Everyone has a different face and different tastes in color. When the ideas of the designer and wearer come together, a new fashion chemistry is revealed. At times, the designer may focus internally, however Shuen-Rencontre wants to focus on the wishes of the wearer. 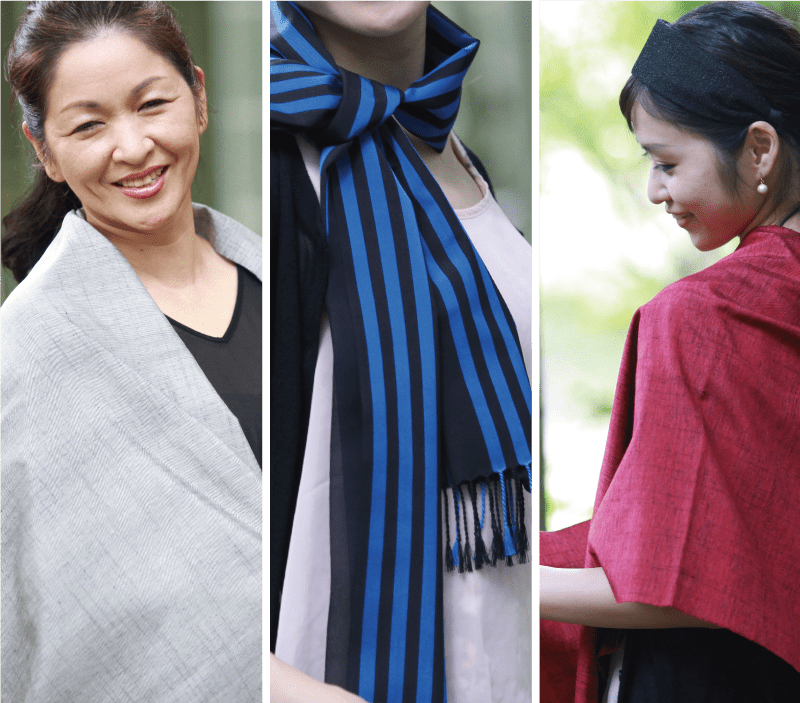 Shuen-Rencontre hopes to maintain Oshima Tsumugi heritage while creating a new tradition for the next generation.